Do you remember back in prehistoric times (i.e. before the Internet, Google and one-click payments) when you walked into a store, found what you wanted, looked at the price tag, walked to the counter and paid for it? As a woman who hates to shop (yes, there are some), this was my kind of buying. I treat trips to the store like command and conquer missions: list, store, make the rounds, pay. No deviation from the list; no backtracking in the store. If what I want isn’t readily available on the shelves, I have a scorched earth policy. I don’t find a replacement; I scratch it off the list. You find the product and it looks like what you want. Unfortunately, it has no description. You can’t tell how big/small it is, or whether it’ll fit you /your décor / your personal life style. The price tag says one thing, but then there’s the shipping cost. How much is the shipping cost? You don’t know, because the business forgot to provide it up front. You have the price tag and the shipping cost, but where’s the “buy now” button? You can’t find it, because it doesn’t say “buy now” or anything recognizable. Even a “Pay Up” notice would be nice. Instead, it’s buried under an admittedly cute teddy bear that, while cute, doesn’t tell you it’s a pay button. Fits in nicely with the site, though. You can’t actually buy through the site. You have to contact the business and order through the phone; you don’t know this, however, because the business has forgotten to inform you on any of their product pages. Oh, and the only place you can find their number is on the contact page. Conversions? We Don’t Need No Stinkin’ Conversions! We’re an international SEO and copywriting company. We deal with businesses all over the globe. 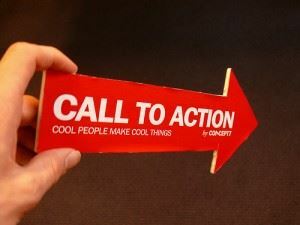 Therefore, I can say with absolute certainty that a lack of converting content and calls to action are not unique to the U.S. Whether you’re dealing with sites in France, the Netherlands, Italy or Egypt, the thought process appears to be the same. What blows my mind is that there are all these studies about behavior and buyer psychology, and seemingly no follow through on the results – at least online. Brick and mortar stores, however, eat this stuff up like candy from the gods. An example worth reading from Radford University is Store Layout, Design and Visual Merchandising (PowerPoint file). Another example is from the University of West Georgia: Store Layout and Design. #1. Work on keeping people on your site first – before you try to get more to come in. The Radford example says, “It’s easier to get a consumer in your store to buy more merchandise than planned than to get a new consumer to come to your store.” This is putting the cart before the horse, so to speak. If your visitors aren’t staying and buying now, more visitors aren’t going to help, are they? In depth descriptions – not only does this help your visitors, but it also gives the search engines more information about your page. Attractive images, clearly labeled – it may be expensive to buy a high dollar camera and a few photography lessons, but you’ll find it’s well worth the cost for small businesses. For large businesses, hiring a professional imaging company is worth its weight in gold. They’re the gift that keeps on giving. Read Presenting Your Product as a Masterpiece: You Can’t Market a Piece of Junk – Learn about the necessary bits and pieces that go into online product marketing. Research it further after you read the article. If your products pages are lacking, your sales will be, too. How do you know if changes are working? You track the results, of course. The specific metrics to track would be average sales through the site, average time on site (or specific product pages), and average page views. Obviously, you want to see all these metrics go up! #2. Store layout is important. 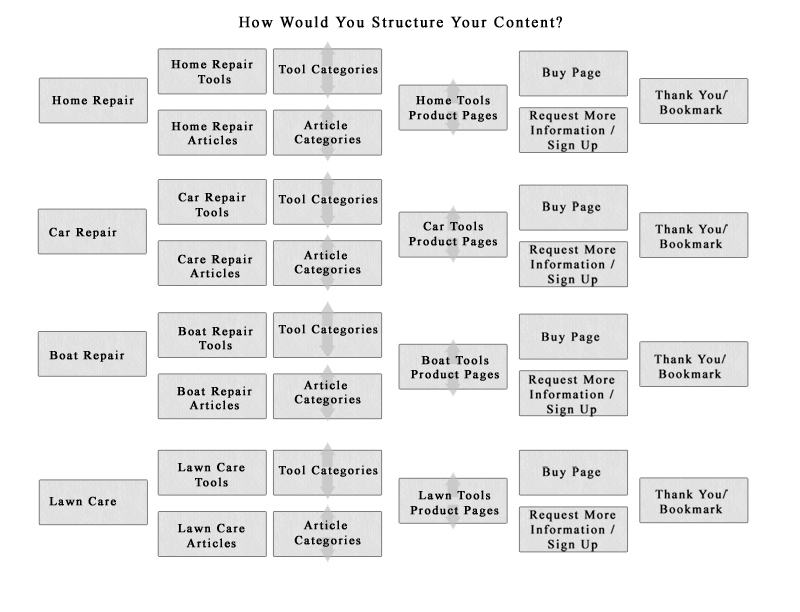 So is the layout of your website. In a retail store, the floor plan is carefully decided on in order to show products at their best, allow for impulse buys, ease of navigation through the store and so on. These considerations shouldn’t be passed up simply because your store is online. The same careful thought should be put into the layout of your online presence. Provide a site search function – Every product-based site with more than one page can benefit from a search function. Allowing your visitors to search your site provides easy access to the products they want. Sure, it cuts through browsing, but the easier you make it to find things, the better your chances of a sale. 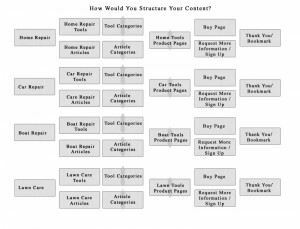 Read Information Architecture – Content Layout is Everything – Learn how to classify, categorize and build a site much like any brick and mortar retail store. You want to make your site navigation as easy as possible to understand! #3. Visually communicate with your customers. Provide directional, department and category signage. These don’t have to be huge, as in the example on the slide, but they do need to be visible. Category signage could be as simple as a concise dropdown menu. 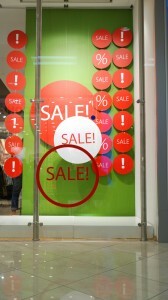 Directional signage can be translated into Cart buttons, Buy Now, Shop Now and sales images (example: Amazon.com). Signs that clearly describe sections of your site and what to do once you get there help your visitors navigate easier. 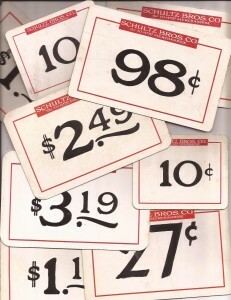 Provide point of sale (POS) signage. In a retail store, POS signage goes close to the merchandise. The same can be said for your online store. 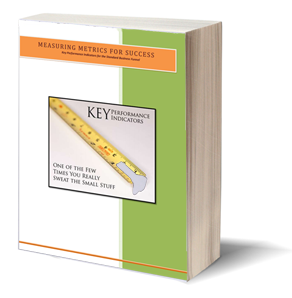 Pricing, discounts and descriptive information provide buying incentive. Lifestyle graphics help. “Lifestyle graphics” or large, oversized graphics are a must in many retail stores. Why? Images communicate feelings in a way that written content can’t. Lifestyle images, specifically, help the consumer imagine themselves wearing or otherwise using the product. Now, obviously, you don’t want to take up your whole site with big images, but careful placement can make a big difference. Now that you’ve read this article, look at your site. Go on – look at it. Forget about numbers and analytics. Forget about your sales numbers. Forget about everything that makes you a business owner. If you can’t do that, go get yourself a guinea pig to run through your site for you. Ready?